FINALLY! We have actually managed to get what feels like summer here in the North East of Scotland. And unsurprisingly, we’re still complaining! You’re probably thinking…it’s raining…Well get ready everyone because temperatures are set to sky rocket again in coming week’s #indiansummer. In our defence, we’re not geared up for these temperatures, we’re used to having heating controls on full blast as opposed to the coolest option. Find yourself struggling in the office? Feeling more lethargic and can’t concentrate? Let’s fix that, and no it’s not an extra caffeine hit! (Although we’re totally not opposed to an extra cuppa). 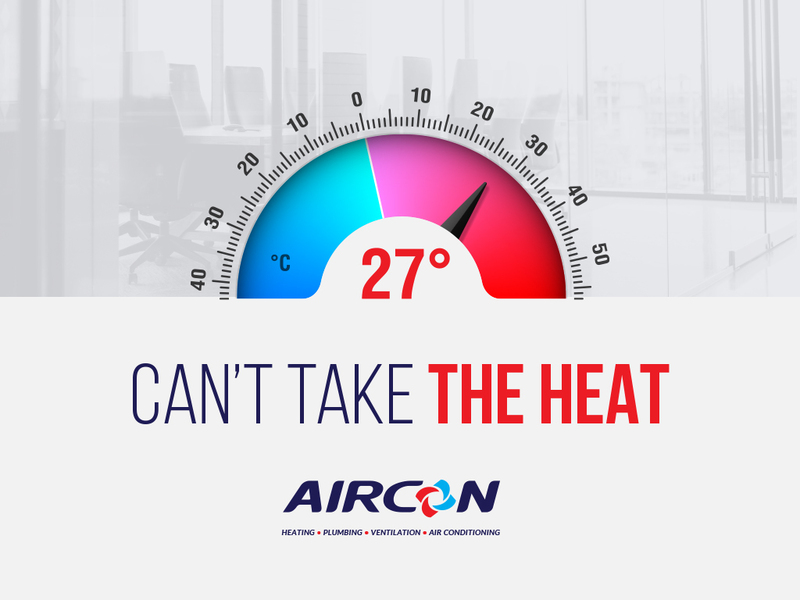 1)Do not open your windows and doors with the AC unit on. Let’s not even go into the energy efficiency side but in all honesty, AC unit’s pull in warm air and cool it back down by using a refrigerant. Any heat that gets expelled from the unit is going to work its way right back in. 2)Anyone else keep an AC unit on constantly in the hotel room abroad? Thought so! We can’t stand walking in to a stuffy room, but it’s not actually as good of an idea as you think. In your own office environment, it costs A LOT of money to keep a unit functioning throughout the whole day. By switching on only when you’re in the room you will remain cool but save heaps in the meantime.